This vintage advertising image for a bicycle is a bit fuzzy but that just seems like it would make it more interesting for use in a larger art project. It was described as a “high grade safety bicycle” with 26 inch wheels. It appeared in a children’s magazine in 1891 and is now in the public domain. 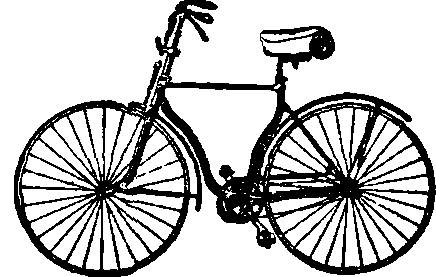 This vintage bicycle drawing was included in the children’s magazine Golden Days for Boys and Girls from November 28, 1891.